Lightweight tencel jersey knit with a 1 x 1 rib. Soft, luxurious feel with a nice drape. Ample stretch in width and bias. 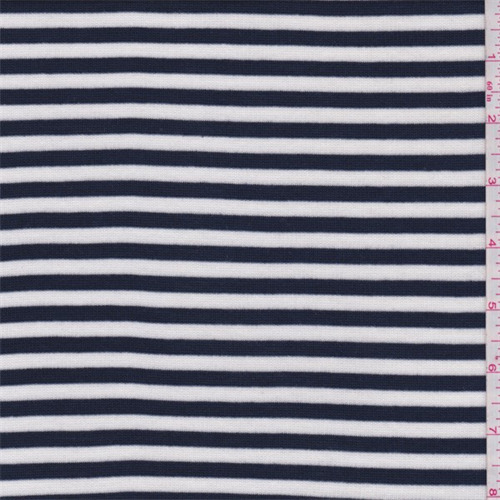 Horizontal yarn dyed stripe. Suitable for knit tops. Machine washable.